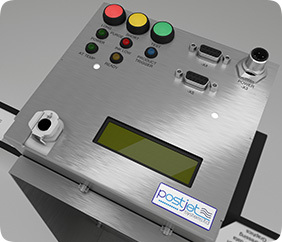 The Postjet 490D digital printer utilises the very latest high resolution piezo print head and provides a versatile, low-cost solution to meet the growing demand for efficient envelope communication and late-stage ink jet customisation across a range of coated and uncoated substrates. The 490D builds on the Postjet platform with fast availability (print ready in just a few minutes), re-circulating ink system and instant job changeover, making the 490D simple and easy to use. Capable of printing addresses, barcodes, 2D codes, QR codes, numbering, logos and graphics with on-the-fly job and variable data fields, the 490D is an optimum solution.